The one-stop homeless transformation center provides dormitory areas for both males and females, segregated by age group; a medical unit that includes respite and hospice services; a long term mental health and detox unit; administration and member services areas such as gym and large multi-purpose areas, medical community coordination offices, legal offices, counseling offices, laundry services, lockers, mail box/postal services, child care services, chapel, security offices, designated smoking areas, storage areas, maintenance facilities and pet shelter services. The medical clinic area includes lab space, dental and clinical treatment rooms, x-ray room, detox services and specialized area for infectious diseases. The facility also has a main kitchen and cafeteria with both indoor and outdoor dining areas available. There are areas for educational classes, job skills and life skills classes. The new facility includes 440,000 SF in 15 buildings stretched across 37 acres. 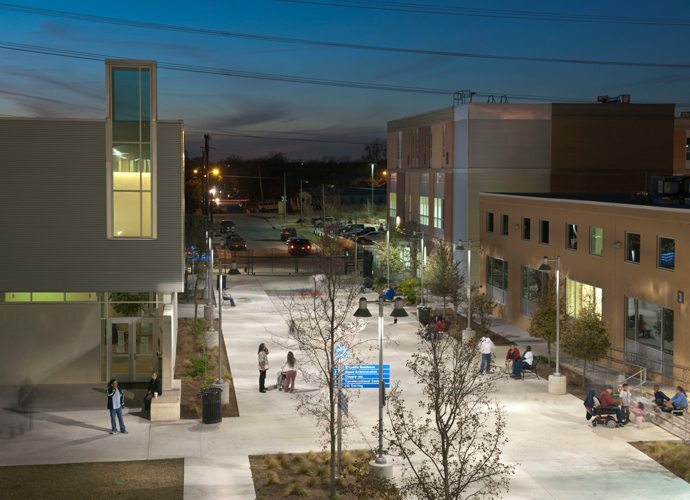 122,000 SF of existing warehouse structures were reused as part of the new campus revitalizing a once neglected area of the city and restoring the urban fabric of the surrounding community. 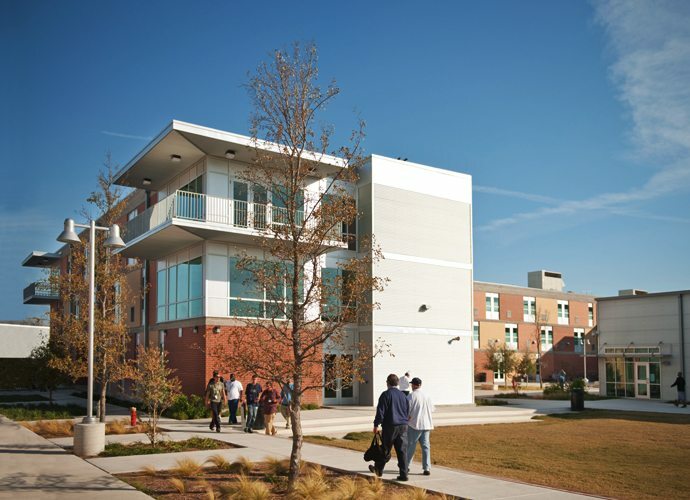 The campus also houses more than 80 non-profit organizations.